In the face of the current environmental crisis—which clearly has moral and spiritual dimensions—members of all the world’s faiths have come to recognize the critical importance of religion’s relationship to ecology. 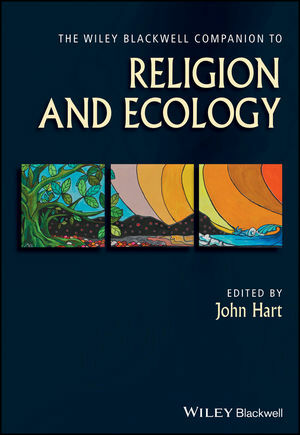 The Wiley Blackwell Companion to Religion and Ecology offers a comprehensive overview of the history and the latest developments in religious engagement with environmental issues throughout the world. Newly commissioned essays from noted scholars of diverse faiths and scientific traditions present the most cutting-edge thinking on religion’s relationship to the environment. Initial readings explore the ways traditional concepts of nature in Christianity, Judaism, Islam, Buddhism, and other religious traditions have been shaped by the environmental crisis. Readings then address the changing nature of theology and religious thought in response to the challenges of protecting the environment. Various conceptual issues and themes that transcend individual traditions—climate change, bio-ethics, social justice, ecofeminism, and more—are then analyzed before a final section examines some of the immediate challenges we face in caring for the Earth while looking to the future of religious environmentalism. Timely and thought-provoking, Companion to Religion and Ecology offers illuminating insights into the role of religion in the ongoing struggle to secure the future well-being of our natural world. John Hart is Professor of Christian Ethics, Boston University. His books include Cosmic Commons: Spirit, Science, and Space (2013), Sacramental Commons: Christian Ecological Ethics (2006), and The Spirit of the Earth (1984). He has lectured globally on socioecological ethics and religion-ecology in eight countries on five continents.